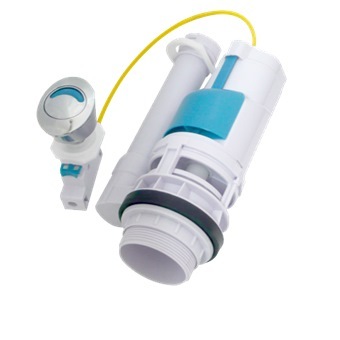 SHOWY TURQUOISE DUAL STEEL WIRE CISTERN FLUSH VALVE C/W 52MM OUTLET(2956-4) is rated 5.0 out of 5 by 1. 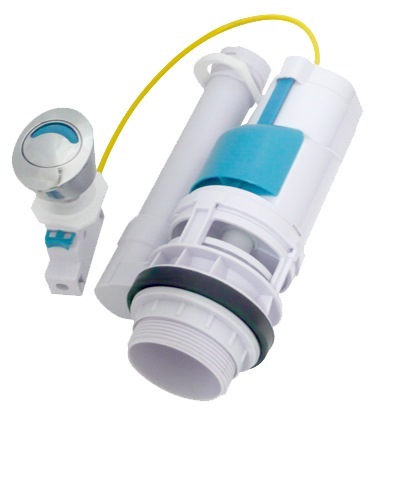 Rated 5 out of 5 by Tham from Modern look, Save water and Strong flush system I bought this product 2 weeks ago to replace my old lever flushing system. Toilet with a flush button instantly looks new and modern. Push flush feature offers two different water levels, which will ultimately save water and money at the end of the day. Excellent quality product that was straightforward to install and works perfectly, and great value for money. Highly recommended.